Return to Rook Island Mod | Mods Forums - Mods for Far Cry, MGS & more! 1) Will the mod be able to support Windows 10 with the STEAM version? 2) Is the Return to Rook Island Mod significantly different from the vanilla version of FC3 (besides the graphical enhancements)? If not, I just assume use Ziggy;s Mos with the Immersive Sounds Mod. 3) Will the mod interrupt or rather affect coop play? I ask because I bout it for a coop buddy who refuses to use mods and I'll want to be able to coop with them once or twice per week and do single player the remainder of the time. 1) No idea... test and report? 2) It has a slew of differences, but I focused on adding a lot of graphical changes so as not to just be a repeat of Ziggy's mod. If you want difficulty then Ziggy's mod is the way to go. If you want to encounter new/unusual stuff then try R2RI. 3) Never (intentionally) touched any of the files for multiplayer or COOP so it shouldn't, but then again I never tested. It ostensibly for single player. If it effects coop in any way no one realized or reported it. I'll try the Return to Rook Island and see how that goes... and report back if possible. I'm not a big fan of difficulty, so, not too sure about Ziggy's Beta Mod. 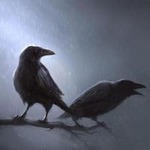 JRavens, as a followup; I used the "Return to Rook Island Mod... no coop conflicts with other players who did not use the mod. Last Edit: Apr 17, 2017 20:14:27 GMT by akmark5000: UPDATE INFO. Thanks for checking that and reporting on it!